The evidence-based approach to a more worthwhile portfolio. The Index Revolution argues that active investing is a loser's game, and that a passive approach is more profitable in today's market. By adjusting your portfolio asset weights to match a performance index, you consistently earn higher rates of returns and come out on top in the long run. This book explains why, and describes how individual investors can take advantage of indexing to make their portfolio stronger and more profitable. By indexing investment operations at a very low cost, and trusting that active professionals have set securities prices as correctly as possible, you will achieve better long-term results than those who look down on passive approaches while following outdated advice that no longer works. "Beating the market" is much harder than it used to be, and investors who continue to approach the market with that mindset populate the rolls of market losers time and time again. This book explains why indexing is the preferred approach in the current investment climate, and destroys the popular perception of passive investing as a weak market strategy. All great investors share a common secret to success: rational decision-making based on objective information. 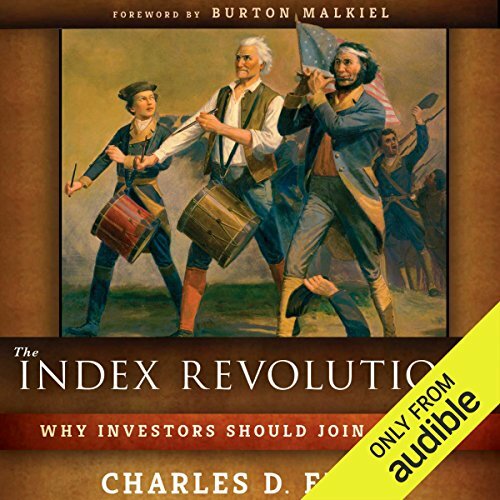 The Index Revolution shows you a more rational approach to the market for a more profitable portfolio. ©2016 Charles D. Ellis (P)2017 Audible, Inc.
Everyone should follow this simple plan to grow wealth. This is a strategy based on sound Academics and Science.